Which country map is more beautiful? Hello . I like the map of Italy. Because it has narrow and narrow roads. And mountainous. Driving in Italy is enjoyable. . Which country do you like in Ets2? A beautiful island and a beautiful and, of course, new, nature. Beautiful and enjoyable roads. This is a beautiful thing for 1.35. And I love this island. 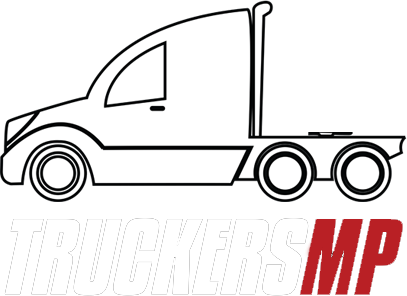 Hello you must Send your video to the truckermp.com website. Do you own Schwarzmuller & Krone DLC? I have been playing Ets2 . 4 years. No news of SCS software yet. The truck may not be added until next year. The new Man TGX and Renault range T trucks are suffering. Next DLC MAP in Ets2 ! Nothing is clear yet. SCS has not yet released any new news. But I think it's Spain's map. Hello. . This is a beautiful and great DLC from SCS Company. The DLC has been the most sold in the list for steam. Many gamers have bought this DLC. Hello . Volvo brand is awesome . I love Volvo brand very much. Volvo VNL truck has been added to ATS and players like it. But slightly weakened by SCS. Hello You need to login to your account at the world of truck and get bonuses in the Event section.